Tuesday Night Pasta & Pairings! Tuesday nights are getting exciting at The Dark Room in the heart of Grand Center. Join us each Tuesday evening from 5-10 p.m. for Pasta & Pairings, an exciting new culinary adventure. 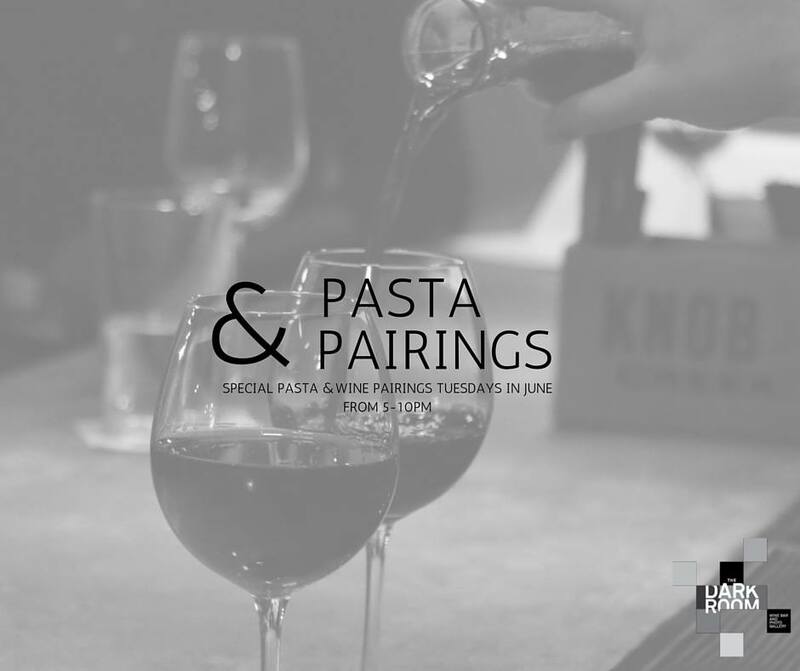 Chef Sam Pretto and Sommelier Denise Mueller will delight the senses with thoughtful pasta and wine pairings. Enjoy day-fresh, made in-house pasta, paired perfectly with regionally inspired sauces and sommelier-selected wine. A bowl and a glass is only $13. NEW pastas, sauces and wines will be featured weekly, with a rotation of four pasta styles and appropriate pairings, including: creamy (paired with full bodied white), olive oil (paired with light bodied white), red sauce (paired with light/medium bodied red) and meat sauce (paring varies). From 9 p.m. until closing on Tuesdays, The Dark Room also offers The Blind Tasting Happy Hour – $10 includes a glass of sommelier-selected wine and an opportunity to blind taste (2) classic wines from around the globe with a wine professional! Those attending from 8-10 p.m. can enjoy the sounds of New Tunes Tuesday. Under the direction of composer/musician Adam Maness, guests will experience brand new tunes performed live by some of St. Louis’ best jazz, classical, and new music musicians. There is never a cover charge.